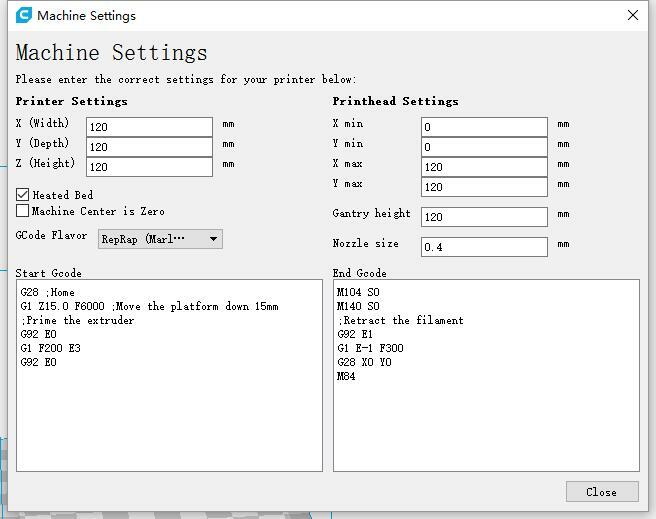 Select “Settings → Printers → Manage printer” menu. Click “Add” button, the “Add printer wizard” dialog will show. Choose “Custom FDM printer”. You can input a name for this printer then click “Add printer” to finish. Select “Settings → Profile → Manage profiles” menu. Download below profile for import.